Specs: Summit elevation: 700′; Base elevation: 350′. 21 Lifts: 3 triples, 15 doubles, 3 surface. Uphill capacity: 20,000/hr. Terrain Mix: 20-60-20. Longest Run: 3000′. Season: usually late November to early April. Night skiing 7 days. Rentals & Lessons. Annual Snowfall: 55″. Snowmaking: 100%. The SKInny: Something about 250 skiable acres doesn’t quite ring true. Plenty of lifts, people do move along. Watch yourself — gets crowded, and layout lends itself to numerous merging trails. Due to large crowds, even good conditions can get chewed up pretty quickly. Considering its proximity to the Twin Cities, Afton Alps provides a great day of convenient skiing as small hills go. Wanderers will enjoy it, hotshots will not. Has facilities top and bottom; ticket sales are at base area. Owned by Vail Resorts. Specs: Summit elevation: 1575′; Base elevation: 1300′. 4 Lifts: 1 quad, 2 triples, 1 handle tow. Uphill capacity: 4,000/hr. Terrain Mix: 35-35-30. Longest Run: 1320′. Season: usually late November to late March; closed Tues & Weds except Christmas week. Night skiing. Rentals & Lessons. Annual Snowfall: 55″. Snowmaking: 100%. The SKInny: Arguably the best family-oriented ski area in Minnesota. Friendly atmosphere, low prices, no alcohol. Not “huge,” but big enough that even an accomplished skier will not be completely bored spending a day here with a gaggle of novices. Trails are carved out of a wooded bluff, and do have a similar feel (however briefly) to New England skiing. Seldom crowded. Specs: Summit elevation: 1225′; Base elevation: 925′. 10 Lifts: 1 quad, 1 triple, 2 doubles, 1 j-bar, 1 handle tow, 3 rope tows, 1 magic carpet. Uphill capacity: 6,000/hr. Terrain Mix: 40-40-20. Longest Run: 1250′. Season: usually late November to April (longer with synthetic slope). Night skiing 7 days. Rentals & Lessons. Annual Snowfall: 80″. Snowmaking: 100%. The SKInny: Look, this isn’t a big time ski resort, and it doesn’t claim to be. But they do claim to develop good skiers at Buck Hill, and they’ve proven it with a couple of Olympians. Yes, you read correctly. If you want to learn ski racing, Buck Hill is as good as any. For the rest of us, it’s small, fun, good for beginners. Also a good spot for seasoned skiers to tune up, for a few reasons: You can use rope tows to go up and down continuously with little or no wait…and thus build your leg muscles going up as well as down. More importantly, it’s very close to the Twin Cities. There are a bunch of lifts (10) and you can get a lot of bang for your buck (no pun intended). Specs: Summit elevation: 1510′; Base elevation: 1280′. 5 Lifts: 2 triples, 2 doubles, 1 rope tow. Uphill capacity: 4500/hr. Terrain Mix: 20-55-25. Longest Run: 2000′. Season: usually November to mid-March. Rentals & Lessons. Annual Snowfall: 78″. Snowmaking: 100%. The SKInny: Prototypical midwest ski area, in spirit, style, and in the fact that it’s one of the oldest. First formal runs made on Buena Vista in the 1930s; first mechanized lifts in the late 1940s. It’s carved out of the side of a bluff, runs are short, and even the steep stuff isn’t overly challenging. But again, think “midwest skiing” and remember that the emphasis is on fun. Liftlines are short. Another great facet of Buena Vista is that the nearby tourist trap/village provides plenty of activities for the non-skier in your group. Specs: Summit elevation: 875′; Base elevation: 700′. 1 double chair. Uphill capacity: 800/hr. Terrain Mix: 40-60-0. Longest Run: 1000′. Season: usually December to mid-March. Lessons. Annual Snowfall: 100″. Snowmaking: 100%. The SKInny: Community ski tow run by the city of Duluth. Fantastic asset for the local youths and families. These types of operations deserve our enthusiastic support — stop in, buy a ticket, make a couple quick runs. Specs: Summit elevation: 1150′; Base elevation: 725′. 3 Lifts: 2 doubles, 1 handle tow. Uphill capacity: 2800/hr. Terrain Mix: 30-40-30. Longest Run: 5100′. Season: usually December to mid-March; W,F,Sa,Su +holidays. Night skiing. Rentals & Lessons. Annual Snowfall: 40″. Snowmaking: 90%. The SKInny: Highly regarded for its pleasant atmosphere, short liftlines, enjoyable terrain, excellent grooming, and affordable pricing. Pleasant, and the 425′ vertical ain’t too shabby considering the geological constraints of the region. Not as much “official” skiable acreage as a lot of nearby offerings, but Coffee Mill seems to make up for it with overall quality. Specs: 2 rope tows. Rentals & Lessons. Snowmaking. Open Tues-Suns. Night skiing Tu-Fr. The SKInny: Operated by the City of St. Paul Parks Department, this is a shining example of what a community tow should be. Complete with a comfortable chalet type base lodge, (PSIA) certified instructors, grooming…this is something the city should be proud of. As skiers, you need to support this type of operation. 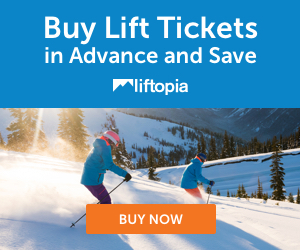 Trust me, you can afford the lift ticket. Specs: Summit elevation: 920′; Base elevation: 500′. 6 Lifts: 3 doubles, 3 rope tows. Uphill capacity: 3000/hr. Terrain Mix: 20-50-30. Longest Run: 4000′. Season: CLOSED 2003-2004. Rentals & Lessons. Annual Snowfall: 70″. Snowmaking: 100%. The SKInny: Operated by Prairie Island Indian Community, currently closed. Specs: Summit elevation: 1970′; Base elevation: 1470′. 6 Lifts: 2 triples, 3 doubles, 1 poma. Uphill capacity: 7800/hr. Terrain Mix: 31-44-25. Longest Run: 4000′. Season: usually November-April. Night skiing. Rentals & Lessons. Annual Snowfall: 85″. Snowmaking: 100%. The SKInny: Giants Ridge could be described as “the Okemo of the Midwest.” Like the celebrated New England resort, it isn’t the biggest, but certainly big enough. It’s well-run, and pricing is reasonable. The main similarity is that both groom trails with the frequency and thoroughness of a zamboni at a public rink. As a result, the trails are such that you always leave Giants Ridge feeling like you skied better than ever before. There are a couple of runs that are left alone — one bump run (Cortina) and one unofficial (called “Rockface”) that will get your blood pumping. Best skiing is concentrated in the area with trails named for various winter olympics. Despite the prominent placement of the word “GOLF” in the name, Giants Ridge easily ranks in Minnesota’s top five. Specs: Summit elevation: 1075′; Base elevation: 900′. 6 Lifts: 3 triples, 3 surface. Uphill capacity: 3800/hr. Terrain Mix: 40-40-20. Longest Run: 2000′. Season: usually late November-March. Night skiing. Rentals & Lessons. Annual Snowfall: 55″. Snowmaking: 100%. The SKInny: Note the word “snowboard” stuck prominently in the name. Hyland Hills isn’t the ideal spot for skiers. Catering to snowboarders, 20 minutes from the Twin Cities, it’s really a chaotic circus of foul-mouthed teens sitting all over the slopes. Liftlines tend to be lengthy; manners tend to be short. Other than an occasional tune-up, you’ll want to drive further and ski better. That being said, we do give HHSS credit for running a decent operation so close to town…and lessening the number of snowboarders at the bigger hills. Specs: Summit elevation: 540′; Base elevation: 900′. 9 Lifts: 5 quads, 3 doubles, 1 handle tow. Uphill capacity: 14,000/hr. Terrain Mix: 24-59-17. Longest Run: 2100′. Season: usually late November-March. Night skiing (exc. Weds). Rentals & Lessons. Annual Snowfall: 50″. Snowmaking: 100%. The SKInny: Good atmosphere, decent prices, small, comfortable. Ideal for beginners; not a heck of a lot for experienced skiers. Good, easy ski day for the family. Two distinct “faces” keep things moving; surprising amount of elbow room for such a small area. You could do a lot worse, and in southern MN it’s hard to find better. Runs neck-and-neck with Coffee Mill for “best value.” Kato has less vertical, but much better infrastructure: lines are usually short. Specs: 2 Lifts: 1 triple, 1 surface. Terrain Mix: 40-30-30. Longest Run: 2100′. Season: usually late November-March. Night skiing. Rentals & Lessons. Annual Snowfall: 50″. Snowmaking: 100%. The SKInny: Community-run ski hill that skis more like a larger operation. Nice mix of steeps & rolling trails, with some terrain stuff thrown in, and the sweeping views of Gull Lake are a nice bonus. Also has a tubing operation. Locals deserve a lot of credit for offering up such a nice ski area. Specs: Summit elevation: 1688′ (not all lift-served); Base elevation: 600′. 9 Lifts: 1 gondola, 7 doubles, 1 surface lift. Uphill capacity: 14,000/hr. Terrain Mix: 18-47-35. Longest Run: 10,800′. Season: usually late November-mid April. Rentals & Lessons. Annual Snowfall: 120″. Snowmaking: 95%. The SKInny: Easily the best in Minnesota, probably the entire midwest. One of the few nearly “mid-sized” mountains in the region (mid-sized being 900′ – 1800′ vertical) with terrain rivaled perhaps by Michigan’s Bohemia. Lutsen covers four mountains: Biggest, most popular is Moose Mountain (photo), next is Mystery Mountain, a haven for novice/intermediates; then Ullr, a designated slow skiing hill for families, groups, etc. Last but not least is Eagle Mountain, with its short but extremely steep pitches. Overall atmosphere at Lutsen is pleasant, snow is plentiful, the scenery is gorgeous. Lots to do here for wanderers — even the hotshot will have his or her work cut out. Only complaint is that liftlines could use some help. For Twin Cities residents, this is the best ski destination within (reasonable) driving distance. While we’re on the subject, Boyne is an 11-hour drive, while Vail is a 15-hour drive (doesn’t take a genius to figure out that the extra 4 is well worth it). But again, Lutsen is the smart money for a weekend or even overnight trip. A side note for ski lift afficianados: Lutsen has one of the few lifts that cross over a parking lot. Signature Trail: Clear Ridge/Moose Maze. Specs: Summit elevation: 850′; Base elevation: 540′. 6 Lifts: 1 quad, 2 doubles, 3 surface. Uphill capacity: 7400/hr. Terrain Mix: 40-40-20. Longest Run: 1600′. Season: usually late November-March. Night skiing 7 days. Rentals & Lessons. Annual Snowfall: 45″. Snowmaking: 100%. The SKInny: Here’s a suburban ant hill that caters to snowboarders, is within a half hour drive of a bazillion people, and relies mainly on older lifts. Despite this recipe for disaster, Powder Ridge somehow manages to run a decent ski hill. Crowded but seldom terrible, the terrain is such that people tend to be spread out a bit, and things keep moving. Staff and operations are overall of very good quality. One of the better local options for Twin Cities skiers. Specs: Summit elevation: 1320′; Base elevation: 620′. 8 Lifts: 2 quads, 2 triples, 1 double, 2 handle tows. Uphill capacity: 10,400/hr. Terrain Mix: 32-32-36. Longest Run: 5400′. Season: usually late November – late March. Night skiing 7 days. Rentals & Lessons. Annual Snowfall: 92″. Snowmaking: 100%. The SKInny: Certainly one of the top two or three ski areas in the state; spirited Spirit supporters call it number one, but it still plays second fiddle to Lutsen. Wanderers will want a little more elbow room, hotshots a little more challenge, but as midwest skiing goes it’s tough to beat. Past complaints of slow lifts seem to have been alleviated by the addition of a high speed quad. Trails have some good length, pleasant run outs, exciting approach views of Lake Superior. Upside-down ski area, but we like it anyway. The SKInny: This long-shuttered resort has reopened strictly as an “event center” i.e., weddings. New owner has said “perhaps” when asked about skiing; if that comes to pass we’ll restore the listing. Specs: Summit elevation: 1050′; Base elevation: 725′. 9 Lifts: 3 quads, 1 triple, 4 doubles, 1 mitey mite. Uphill capacity: 12,300/hr. Terrain Mix: 31-50-19. Longest Run: 1300′. Season: usually late November – late March. Night skiing 7 days. Rentals & Lessons. Annual Snowfall: 50″. Snowmaking: 100%. The SKInny: Well-run old line ski area, feels like a bigger ski area. Lifts move people right along, conditions are generally decent. Wanderers will find plenty of horizontal to make up for lack of vertical, while hotshots will be rather unexcited. A strong blue skier can handle everything here. Certainly in the top five statewide. Specs: Summit elevation: 1113′; Base elevation: 813′. 7 Lifts: 4 quads, 3 rope tows. Uphill capacity: 11,000/hr. Terrain Mix: 33-34-33. Longest Run: 5000′. Season: usually early November – late March. Night skiing 7 days. Saturdays til 3:00 A.M. Rentals & Lessons. Annual Snowfall: 50″. Snowmaking: 100%. The SKInny: Wild Mountain is the Killington of the midwest — not that it is a big expansive ski area — but that it is usually first to open. Grooming and snow conditions are generally very good, lines tend to be shorter. Otherwise, not a lot to get excited about; slopes can get crowded from time to time, and both hotshots and wanderers will be a bit bored here. But hey, it’s an hour from Twin Cities, so deserves an “A” rating as a metro area resort. Signature Trail: Ego Alley; also The Wall. The SKInny: At one time this was a community tow run by Lincoln County Parks Commission, with a surface lift, rentals, snowmaking. Currently operating as a nordic area only, our correspondent Gustave Sexauer reports that you probably could “earn your turns” if you wanted to try out the old alpine trails.